Packed full of advice, useful information and over 90 great tasting recipes! Put down the takeout menu, ditch the boxed food, and get ready for some fun and delicious meals! Whether you're a Kitchen Dad, a new or young cook, or just someone who needs to brush up on your skills, this book is for you. Cliff Pelloni of Kitchen Dads shares useful advice and tips to get your started in making fantastic meals in no time. Discover the essentials for your kitchen, including pantry staples, spices, herbs, and equipment. Learn basic knife skills, common cooking terms, how to read a recipe, grocery shopping tips and much more. 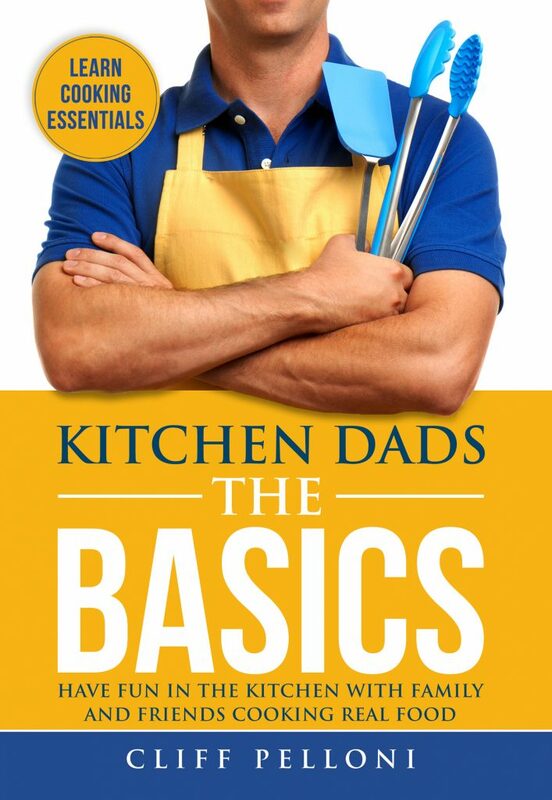 Packed full of tips, charts, and guides, as well as over 90 easy-to-make and delicious recipes, Kitchen Dads - The Basics teaches you how to whip up simple and delicious meals in no time. Get Free Video Cooking Lessons - Kitchen Dads Classroom. Details in book.